When new Final Fantasy XV footage arrives I nod and silently appreciate. When a new World of Final Fantasy trailer shows up, I chair dance and squeak. Is that just me? It’s the difference between travelling with unfamiliar characters in a strange, new world and going to a theme park packed with your best Final Fantasy friends forever. 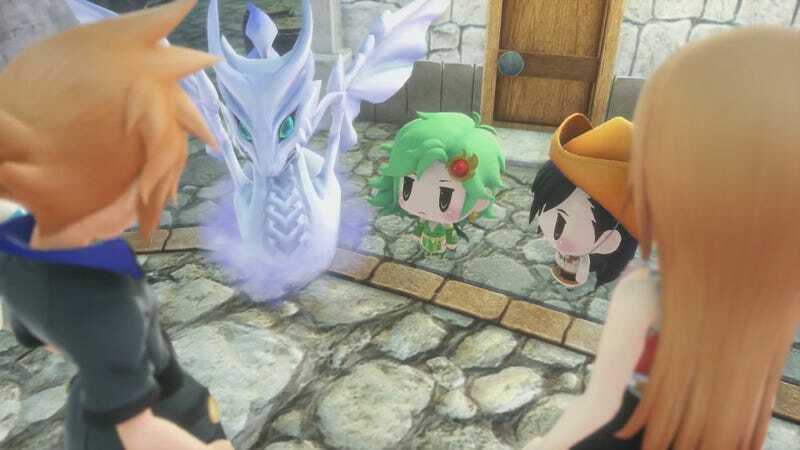 World of Final Fantasy is a nostalgia win by default. And considering the all-star monster stacking RPG arrives for PS4 and Vita on October 25 in North America, it’s slightly closer than Final Fantasy XV in November. I’ll play both, of course, but right now my eyes are on the tiny, chibi prize.